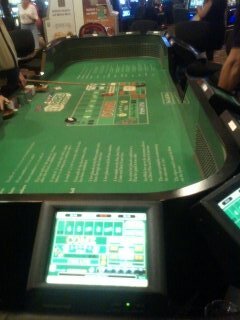 Rapid Craps, Shown on the left was only offered in one place in Las Vegas. 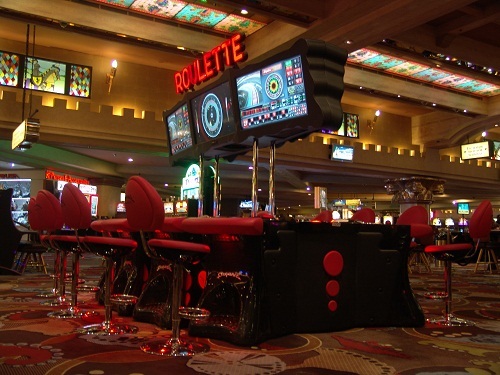 The first year was a learning curve for Bill's Gamblin Hall but then the game caught on and employees were able to speed the game up as requested by players. 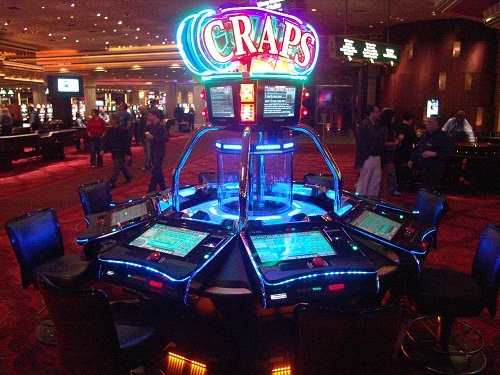 However, there is a newer craps game that requires no Casino employees and is one of the most popular games in all of Las Vegas. Watch for every "new" game or "new" version of an old game to be computer driven, requiring no Employees. 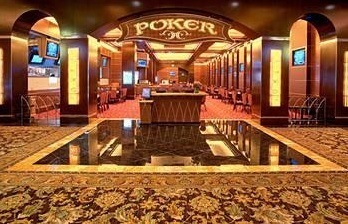 Poker Rooms in Las Vegas vary greatly. The one above is very elegant and dignified at Green Valley Ranch but You can find many on the other end of the spectrum. 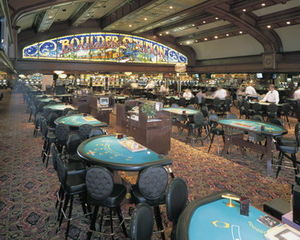 LIke this group of tables at Boulder Station most Casinos now offer at least 20 percent of their tables in the new games other than black jack.